Representing the letter Y is a group from the magickal Arctic Rim country of Norway. Youth Pictures of Florence Henderson is a Norwegian post-rock band. The band came to be when a group of four journalism students got together at the Bodø University College in the fall of 2003. During the following year they recorded a series of songs in a yellow bomb shelter in Bodø. At first their musick was an amalgam of various styles & influences, but as they continued working together they realized they were most aligned with the longer dreamy post-rock tunes exemplified by “A List Not to Be Read at Your Wedding". Working in that vein, they soon had written six lengthy tunes which ended up on their début album Unnoticeable in a Tiny Town, Invisible in the City which they released 21 May 2005 on their own new label, How is Annie Records. These songs are haunting & skygazing epics combining electronic elements with soothing layers of dreamy guitars & pounding yet jazzy intricate beats. This is post-rock with a pop feel laced with spoken, sung & screamed vocals. One can dance to these tunes or be lulled to sleep, they are at the same time beat-driven & dream-inducing. Earlier this year YPOFH released their second album, this time self-titled...a continuation of the old-school emo & modern post-rock found on this, their first release. The new album is their first release to be sold in the U.S. So for anyone who missed their original offering, I serve it up here with four bonus tracks for your listening pleasure, down to the wire with letter Y. 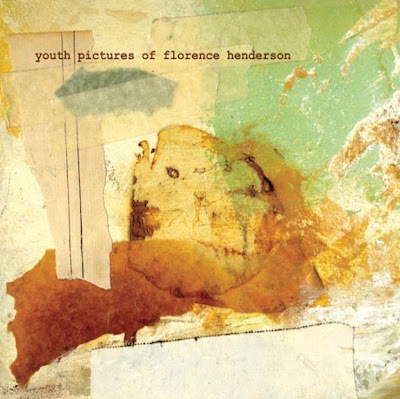 The original members of Youth Pictures of Florence Henderson are: Gjermund Arne Jappée - guitar & vocals; Torbjørn Endal - guitar & vocals; Audun Hoem Hagen - bass; & Morten André Samdal - drums. Thanks for the comments. Lately I've been getting a complex. The only comments I get are from zer0_ii, & he's a friend & this here is his blog. It's great to know there are some live humans out there in interwebland. I get hundreds of downloads on my posts but no comments, thought maybe it was all electric spiders. This posting is somewhat in a different vein from my usual posts. Musick like this is something that I listen to but don't get around to posting up. NØ: I wouldn't worry about it my friend. I used to get discouraged when people didn't leave comments, but I eventually come to terms with the fact that most people just don't take the time to comment, and it's nothing personal. I've been guilty of doing this myself on other blogs, although I try to remember to take the time to say thanks. Sometimes I'll go on a downloading spree, and although I fully intend to leave a comment to let the poster know what I think, I end up forgetting where I even downloaded the album from in the first place. Most of the time this is because I have such a long list of albums that I intend to listen to, and it ends up taking me a while to get to the albums I'm currently downloading. I suppose I should say thanks when I download, but I prefer to leave a comment that is more informative to the original poster. We also have a lot of people who simply read the blog via a RSS feed reader (close to 1,400 last time I checked), and I think this would make them less likely to leave comments. Since I joined Facebook and have had the chance to interact with some of our regular readers, I've been learning just how many people visit here on a regular basis, and truly appreciate the stuff we post. I suppose Facebook provides a more interactive and appealing platform than blogger's commenting system, which makes people more willing to leave comments there. Our posts show up on the Facebook page I created for DM, and several people have commented on your posts there, yet have neglected to comment here. I don't think the download stats you see are from spiders though, since they wouldn't actually save a file to their server's harddrive. I just think people are either too lazy to comment, easily distracted, or simply forget. I know all of this seems as if I'm taking up for the leechers, but I'm simply just trying to let you know that your efforts are much more appreciated than you realize. You will never get the credit you truly deserve. However, you have no doubt introduced thousands of people to music that they wouldn't have heard otherwise, and in turn I'm sure many of those people have passed on the same music you introduced them to, which means that you more than likely have influenced millions of people's listening habits. I'm sorry if all this comes across as being "preachy", and I certainly realize that it is too lengthy of a message, and perhaps one that might have been better sent in private. I just wanted to let you know how appreciated you really are. You shouldn't ever feel bad for a second, nor should any other blogger. You do something amazing by helping to spread art and culture. People simply just caught up in their own lives and fail to recognize this at times. A big thanks from me too, I wanted to have a listen at YPoFH and was redirected to this place. After reading the comments I felt guilty and decided to let you know that it is appreciated. I do have to add that I think it's important you add these for promotional ends rather than let others grab some free albums. Bands and musicians do need our financial support too. But leaving this aside, thanks for this album and I might drop by some other time too. All the best (and a happy 2012 by the way). G.
Can you re upload it please? Didn't realize it was a dead link. Thanks for letting me know. It's re-upped now.